Imagine that you see a nice restaurant and you decide to have a meal there. But, the waiter comes to serve you wearing a dirty uniform. What impression would you get? It would be off-putting right? When it comes to running a restaurant, first impressions are extremely important. So, besides a pleasant space, you really want to pay attention to all the details that guests spot first when they come in, including the tidiness of the uniform the waiter wears. 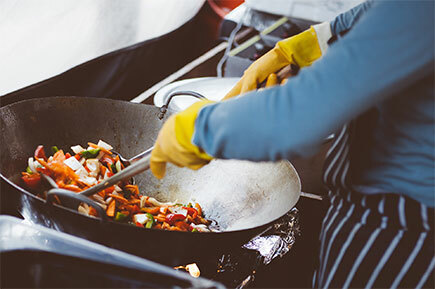 However, if you want to focus on the food only and not to worry about details such as staff aprons and staff uniforms, you can always let somebody else do that for you and consider professionally managed rental service. The next and the most important thing in this business is definitely the food you are serving in your restaurant. It has to be made of fresh ingredients, well-prepared, nicely decorated and professionally served. In order to serve perfect meals in your restaurant, there are many details to be aware of. Here is a list of necessary steps to take if you want to achieve this. If you want to be sure you are serving perfectly safe and healthy food then you have to be very cautious when choosing the ingredients and raw materials. They mustn’t be contaminated in any way in order to be safe for human consumption due to food safety regulations. However, food-poisoning bacteria can be found on some types of food more easily than others. So, paying attention to high-risk foods has to be one of your top priorities. Raw meat, dairy products, eggs, seafood and fresh fruits and vegetables are all foods that you have to be careful with when buying and storing them. After you buy high-quality and healthy food, the next thing you have to think about is storing. Every type of food has its place where it has to be stored in order to be fresh and safe for consumption. The storage place or packaging must protect food from contamination. The temperature plays a very important role. Remember that each type of food requires a different storing temperature. Meat has to be kept in the fridge for example, while room temperature is perfect for storing tomatoes so they do not lack taste. Also, some food has to be kept in a darker environment while other needs a bit of light. Working with food is very serious since it’s directly related to people’s health and can have serious consequences if it is not dealt with properly. So, hire professionals! Hire people who know not only how to cook and prepare food but who are also aware of their responsibility in terms of their restaurant patrons. It is important that the kitchen staff know how to buy, store and prepare food properly and in the best possible way. If it is necessary, consider providing additional staff training on these issues. The staff has to be trained in food hygiene so they can understand what is necessary to be done in order to serve food that is good enough for human consumption. When running a restaurant business, the kitchen has to be the most important place for you since that is where food is prepared. It needs to be spotless. If it is not clean and sanitary you may face some serious fines. Make sure that your staff always wear clean uniforms and hairnets and that they use all the necessary products for keeping their hands clean and disinfected. Some of the items you should definitely put in your kitchen are instant hand sanitisers and paper towel dispenser. By doing all of this you can be sure that the food is safe and won’t be contaminated. When working in the restaurant business you need to be extremely careful about all the details, especially those related to hygiene and food. Nobody wants to eat in a restaurant where staff wears dirty uniforms and aprons and where hygiene levels are not up to scratch. Working in this business is far from easy. There are so many things to consider if you want to provide delicious meals, good service and a pleasant environment. Just dealing with buying, storing and preparing food takes a huge amount of time and energy. However, there are some areas of the business where you can save your time and energy. 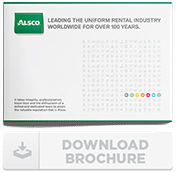 Let Alsco take care of your uniforms, linen and hygiene items for the kitchen. To get the best, tailored package for your restaurant, contact Alsco now and ask for your best quote!